Buried in debris of time and ignorance, the martyrdom of flight attendant Neerja bhanot is justified with her 2016 biopic – Neerja released on 19th Feb 2016. The movie has not only been appreciated by critics, but also applauded by audience all over the world. 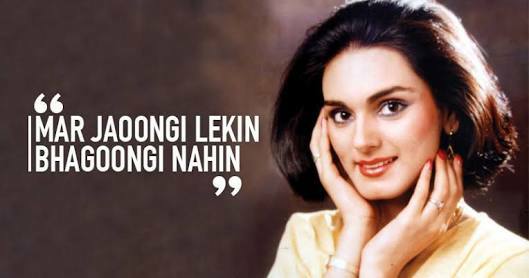 Sadly, it took so many years for the world to know the valour of Neerja bhanot. After watching the biopic – Neerja, my heart specially went for her old mother – Rama bhanot who lost her daughter at such a ripe age of 22. Neerja was not like today’s ordinary girls who love clicking selfies or heading for restaurants. She was destined to become a great icon of courage in pages of history which is filled with stories of rani laxmibai and Joan of arc. The most moving and heart wrenching moment in the biopic was the return of Neerja bhanot in coffin which was the tragic and heart breaking moment for her family. Ironically she was going to turn 23 on 7th September 1986. Though terrorists killed her with their bullets, they couldn’t kill her determination to free the 359 passengers on the plane. She died, but she succeeded. Even in hours of terror, fear and threat, she maintained her calmness and offered water and refreshments to the panicked passengers. Till the last breath of her life, she faced the terrorists and foiled their plans by opening the emergency exit door for the passengers. She could have easily fled away from the plane. But she didn’t. She took the bullets for the three children who were targeted by one of the terrorists. After seeing the movie, all the survivors on the plane are sending their thank you messages on social networks, reminiscing how Neerja saved their lives. She was the Joan of arc of our nation. Fondly called as ‘lado’ by her family, Neerja was an ardent fan of super star Rajesh khanna. Even her broken marriage didn’t deter her spirits. She faced every adversity with a smile. Recently Rama bhanot, mother of neerja expired on December 2015. It’s so unfortunate moment that she couldn’t see the movie which was based on her daughter. A part time model and a flight attendant, Neerja’s memories are her photographs in print ads and her appearances in television commercials. ‘The neerja I knew’ is the new published book, a memoir written by her elder brother. Through this book, one will get a glimpse of neerja’s family, her friends and every minute detail of hijacking that happened on the flight. The day prior to the ill fated flight, Neerja returned home after an exhaustive ad shoot and was too tired to go for her flight attendant duty. Even though her mother insisted her to take a leave, Neerja didn’t skip her job. Unfortunately the flight became her last flight of her life. She left home never to come back. A young recipient of Ashok chakra, the late Neerja bhanot is a renewed force, a dynamic enthusiasm, an epitome of courage that still inspires us. Though I had written an article on neerja in my previous blog post, but somewhere I felt that this tribute to the braveheart was less. 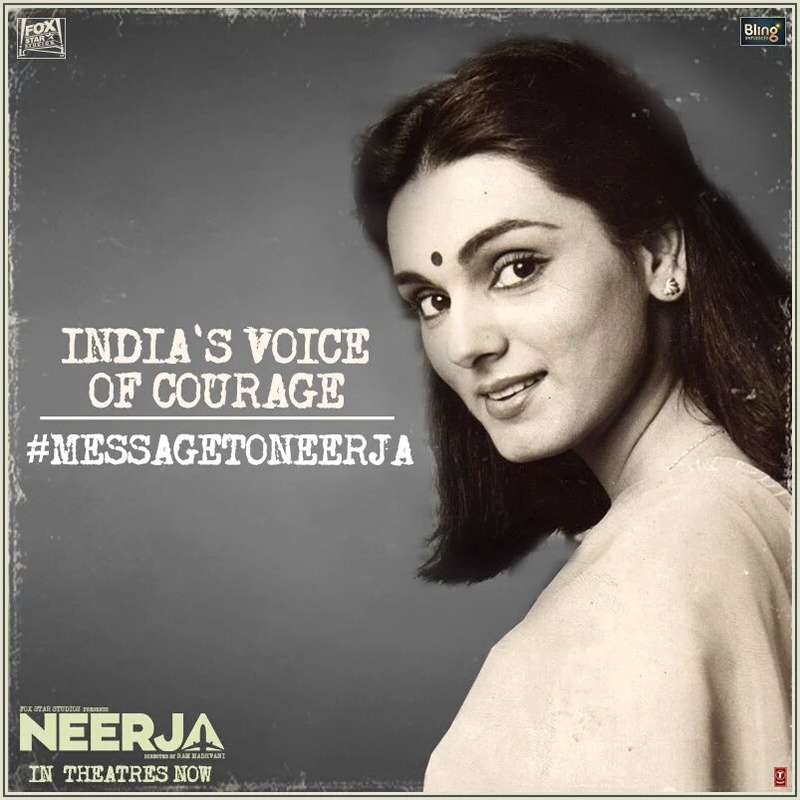 Thus this new article is an extension, a heart felt tribute to the late Neerja bhanot. This nation will always remember you Neerja.